JUNIOR's jeep is in ruins. FRITZ's girlfriend is going to make her escape. JUNIOR shoots at the escaping jeep. He hits the jeep twice at least. JUNIOR's gang aim a bazooka at FRITZ's girlfriend. A bazooka is portable rocket launcher designed as an anti-tank weapon. 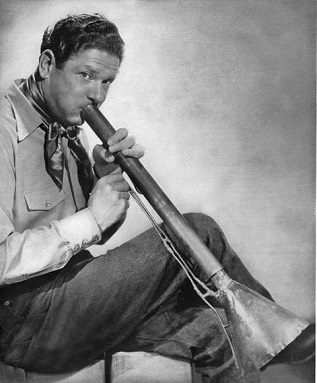 The name "bazooka" is derived from of musical instrument of the same name popularised by radio comedian Bob Burns. FRITZ's girlfriend runs for it. JUNIOR's gang fire the bazooka. FRITZ's girlfriend jumps out of the building.